Refinancing your mortgage can be a smart financial move if you do it the right way. You can tap into your home equity, get a lower interest rate, or even shorten your loan term. All of these are great outcomes for you and your wallet. But here’s something that’s not so great: Picking the wrong mortgage refinance lender. This one major mistake can potentially cost you tons of money in closing costs, hidden fees, and high interest rates. You can avoid that by learning just a little bit about what to expect throughout the refinance process and how to find the right lender. We’ll walk you through everything you need to know, and also give you some suggestions for the big decision. 4 How does refinancing a mortgage work? When you decide to refinance your mortgage, picking the right refinance lender is vital in achieving your financial goals. Different lenders structure refinance loans in different ways, whether you want to minimize the cash you need to close or want to lower your monthly payments — or a combination of the two. The first thing to look at is what kind of refinance loans the lender offers. For example, if you’re looking for a government-backed refinance that has lower credit requirements than a conventional loan, look for a lender offering FHA refinance loans. Alternatively, you may want to refinance into a shorter loan term than the standard 30-year mortgage. Check for a lender with multiple loan term options, such as 10, 15, or 20-year mortgages, so you can compare refinance rates and payments and pick the best one. As with any kind of loan, you also want to shop around for mortgage rates. Not every lender automatically offers the same interest rate or APR. You’ll also want to compare closing costs as part of the evaluation process. You need to know both your upfront costs and long-term costs in terms of interest. Another question to ask is whether or not a lender can roll your closing costs into the loan itself if you want to minimize the amount of cash you want to bring to the table. There are a lot of different ways you can tackle mortgage refinancing. That’s why picking the right lender can make a huge difference. They can help you understand the pros and cons of different options so you can make the right choice. Don’t be afraid to ask questions, ask for specific numbers, and definitely talk to a few different lenders to get an idea of their recommendations and refinance process. We’ve compiled a list of the top 12. Read through our short reviews to get an idea of what kind of products each one offers and how their process works. It’s a great resource for narrowing down your list of refinance lenders to consider. 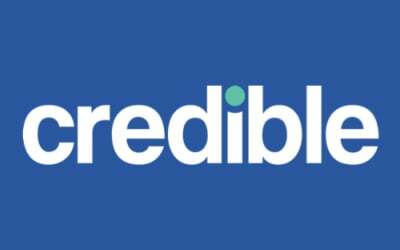 Credible stands out as a mortgage broker that will connect you with potential refinance offers from up to six lenders. While one of these lenders actually originates the loan, Credible takes you through the application process from start to finish. Their digitized platform makes it extremely streamlined to answer questions that are only relevant to your personal situation. Plus, you can get prequalified with custom mortgage rates before you submit a formal application. It only takes three minutes to get offers and Credible doesn’t share your personal information with lenders until you decide to move forward with the process. Available mortgage refinancing through Credible includes fixed rate, adjustable rate, and cash out home loans. Each lender has its own eligibility criteria and you can expect closing costs to come in at anywhere between 2% and 6% of the new loan amount. Another benefit of working with Credible? They have licensed loan officers on their team to help you through the entire refinance application process. LendingTree offers a ton of benefits when it comes to refinancing your mortgage. First, the online process is extremely easy and can even get you a rate quote in under three minutes. LendingTree isn’t a direct lender and instead matches you up with multiple loan offers with lenders so you can compare your options. Here’s why that’s so helpful. 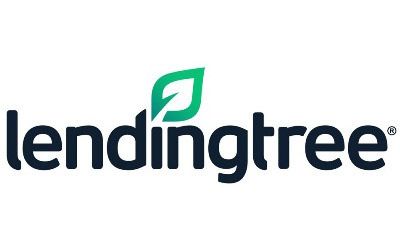 It makes LendingTree’s refinance options much more robust than many other online lenders. For example, you can convert an adjustable rate mortgage into a fixed rate or refinance your FHA or even VA loan. You can also cash out home equity as part of your refinance or choose from multiple loan terms. If you’re still in the information-gathering stage of your refinance journey, LendingTree’s website has tons of useful resources. Play around with numbers to check out different scenarios using tools like their refinance calculator and cost estimator. Known for their exceptional customer service, Lenda is a direct lender that is really helping to redefine the online refinance process. The user experience is quick, not to mention completely digital, making it extremely easy and convenient to upload your documentation during the refinance process. Another unique feature from Lenda is its suggestion engine. Once you’ve requested a preapproval, you’ll see comparisons of different refinance options. There’s also a suggestion engine that tells you if there’s anything you can do to qualify for a lower rate. Definitely a leader in the online mortgage space, Lenda offers compelling perks for refinancing your home loan. loanDepot is a lender that values – and earns – customer loyalty. This is evident by their refinancing lifetime guarantee. Once you refinance with them the first time, they will waive their lender fees and reimburse your appraisal fee. It’s also a great choice for people who like a person-to-person connection. 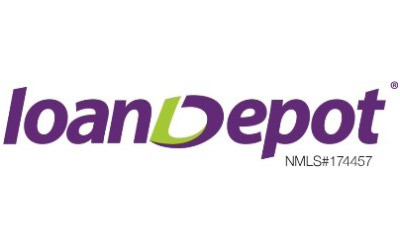 You can call loanDepot at any time to talk directly to a loan officer. 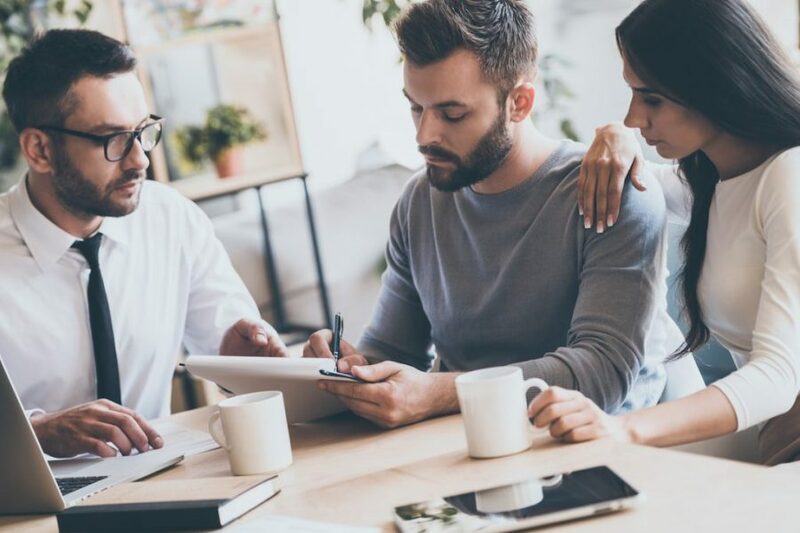 This can be especially helpful for a refinance because there are a lot of different reasons for refinancing, and many ways to do it. After defining your goals, loanDepot lets you choose from both fixed rate and adjustable rate loans. There are other loan types available, such as jumbo and government, which can be useful for a lot of people. loanDepot is definitely committed to customer satisfaction and backs it up with extensive refinance products. You’ll then answer a series of questions about your personal information, including the existing loan amount and your credit type. 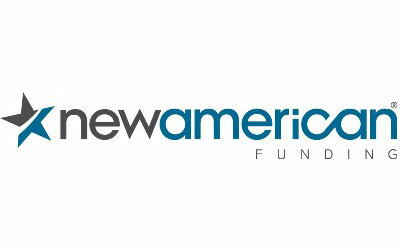 Afterward, you’ll get a quote estimate on the type of refinance loan you could potentially receive from New American Funding. You can also call their 800-number at any time to talk with a loan officer. According to New American Funding, the average refinance saves their customers about $360 per month. So they’re definitely worth checking out, especially if your goal is to lower your monthly payment amount. SoFi started off as a student loan refinance company and has recently branched out to mortgage refinancing as well. One of the key advantages here is that they go beyond the traditional credit score and base your qualification on high-tech algorithms using a variety of criteria. In addition to the typical refinance and cash out refinance options, SoFi also offers a refinance product specific to paying off your student loan debt. You could end up lowering your monthly mortgage payment on top of getting rid of your student loan payments. SoFi lets you check your prequalification for a refinance in just two minutes without affecting your credit score. You can usually close on your new loan within 30 days and you don’t have to pay any lender origination fees. A final bonus? If you have an existing SoFi loan, you can qualify for an additional 0.125% rate discount on your refinance. 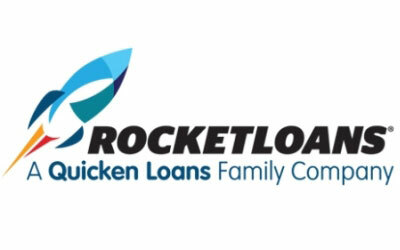 Another driving force in the online refinance marketplace is Rocket Mortgage, which is part of Quicken Loans. The application process is extremely easy and can be completed entirely online. You can pick your goal for your refinance to help Rocket tailor your loan offers. You can even link your financials and property information so that you don’t have to manually gather and upload all of the documentation. In fact, 98% of financial institutions in the U.S. can be imported for both your bank statements and investment assets. Rocket also allows you not only to browse different refinance options but also customize them. You can choose from a traditional mortgage product, FHA loans, VA loans, USDA loans as well as fixed or adjustable rates. For a truly customer-centric experience that’s completely based online, Rocket Mortgage is certainly worth exploring. This major lender has offices in each state (plus the District of Columbia) but also lets you get started using its Digital Mortgage platform. In addition to multiple forms of contact for applying, Guaranteed Rate also has plenty of resources to make sure your decision is an educated one. For example, their online downloadable, Time to Refinance? The Five Most Important Questions to Answer is fantastic in walking you through all the available scenarios and figuring out which one benefits you most. 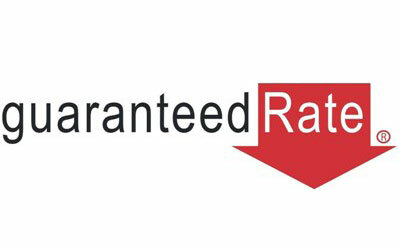 Guaranteed Rate is highly rated for customer service. They consistently receives stellar customer reviews with a satisfaction rate above 95%. Whether you want a completely online refinance experience or a more personal one, Guaranteed Rate delivers. Fill out a contact form to have a loan officer get in touch with you. Alternatively, you can call Carrington anytime between 7:00 a.m. and 6:00 p.m. PST, Monday through Friday. 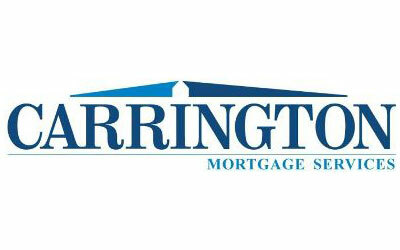 If you like a lot of personal care and attention throughout the refinance process, you’ll appreciate Carrington. Their mortgage professionals walk with you every step of the way to ensure you have a speedy and successful closing. 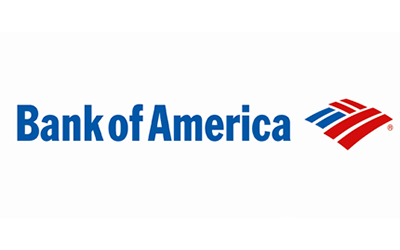 One of the biggest banks out there, Bank of America puts its resources to good use by creating a comprehensive and easy online user experience. From start to finish, you can zip through the application by uploading all of your supporting documentation and e-signing with a touch of your finger. Plus, Bank of America practically has a complete offering of refinancing products, including fixed rate loans, ARMs, jumbo loans, FHA loans, and VA loans. B of A’s interactive website also makes it easy to get a rough estimate of current interest rates. All you have to do is type in your zip code and desired loan amount and you can see where refinance rates start for a variety of mortgage types. If you already bank with B of A and are a Preferred Rewards member, you may also be eligible for a reduction of your mortgage origination fee anywhere between $200 and $600. You don’t need to be a bank member to refinance your mortgage with Chase. 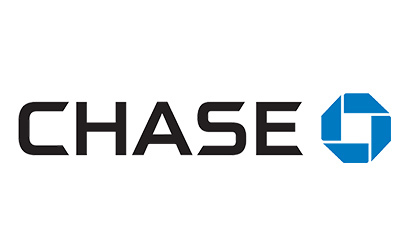 And if you prefer to work with a traditional bank over a strictly online lender or matching website, then Chase is a strong choice. Start the refinance process online by choosing one of two goals: lowering your monthly payment or cashing out on your home equity. From there, you can get started on the prequalification form. Be prepared to enter information on your current property and your finances. If you ever have a question before or during the refinance application process, you can either call or connect with a home lending advisor in person in one of 28 states. There are plenty of refinancing options available through Chase, including jumbo, FHA, VA, and HARP loans. SunTrust is a major financial institution in the U.S. and its online resources really shows it. You can live chat with a representative or check out their Resource Center for tons of helpful information, tools, and calculator. Plus, SunTrust’s refinancing options provide you with multiple options to help you achieve your goals. For example, you can trade closing costs for a higher interest rate if you want to save your upfront cash. Their team of experts can help you assess the best choices to meet your needs. The average refinance customer also saves $314 per month on their payment amount. You can also take advantage of SunTrust’s comprehensive online refinancing platform called SmartGUIDE. It takes you step-by-step through guided questions, then you can choose to either import or upload your required documentation. It’s easy and you get the support of a financial powerhouse. Now that you know some of the best refinance lenders out there, make sure you’re refinancing for the right reasons. Here are some of the most common reasons to refinance your mortgage. It’s entirely possible to refinance in order to lower your monthly payment amount. To save money over the life of your loan, you could refinance into a lower interest rate if mortgage rates have dropped since you got your loan. Or if your credit has improved, you might be able to qualify for a lower rate as well. If you’re having trouble making your monthly payments, you could also consider refinancing into a longer loan term, which spreads out your existing loan amount over more years. So if you’ve been paying your mortgage for 10 years on a 30-year loan, you could stretch out the existing 20 years over another 30-year period. This should be done under caution depending on how much financial trouble you’re in and what kind of retirement plans you have. If you have equity in your home – at least 20% – you could potentially qualify for a cash-out refinance. This allows you to get a lump sum of money and then add that amount to your existing loan. Usually, you can borrow up to 80% of your equity. Say your home is valued at $200,000 and your mortgage is down to $150,000. That leaves you with $50,000 in home equity. The bank will let you borrow up to 80% of that, which is $40,000. If you qualify for the new mortgage amount, you could then refinance your home loan to total $190,000. Then you can use the cash as you see fit, whether it’s for a home renovation, college tuition, medical bills, high-interest debt, or any other major expense. Shorter loan terms usually come with lower interest rates since there’s less of a chance for you to default on the loan. While monthly payments are usually much higher with a 15-year mortgage compared to a 30-year mortgage, you may save money by switching once you’ve paid off a part of your original mortgage. If, for example, you’re 15 years into a 30-year mortgage, you only have 15 years left to pay. You could potentially save money by getting a lower rate via an actual 15-year mortgage. If you originally took out an adjustable rate mortgage (or ARM) and your fixed period is ending, you should definitely consider refinancing your loan. While there’s a cap on how high your adjustable mortgage can go, it could potentially be much higher than current fixed interest rates. Talk to a lender to see what’s the best option to avoid a major jump in your monthly payment. And be sure to plan ahead since it can take time for the approval process to finish. Applying for a refinance is very similar to applying for a new home loan. It’s also important to note that you don’t have to use your current lender or servicer. You can pick any mortgage lender that you’d like for your refinance. After shopping around for lenders and comparing your loan options, you’ll have to complete a formal application. This involves submitting your income and financial statements. The loan officer and underwriter will review your materials to make sure you can afford the new loan terms. They’ll also analyze your current credit score and history and will check your debt to income ratio. Just like a regular home mortgage, they want to make sure your monthly debt doesn’t exceed 43% of your monthly take-home pay. In addition to personal loans and credit card debt, they also include your new mortgage payment in that number. Next, you’ll be required to get an appraisal on your home as part of the refinance process. This makes sure the property actually lives up to its estimated value and helps determine your total equity in the home. You don’t need to do anything special before the appraiser arrives, but it is good to clean and tidy up in order to make a good impression. After that, you just have to wait for closing. Usually, your lender lets you pick the date, time, and location. They’ll send a notary who will walk you through signing the closing documents. Then, you’ll start fresh with your new payment schedule. If you cashed out on any home equity, you can typically either choose to receive a check or have it deposited directly into your bank account. When shouldn’t you refinance your mortgage? If your credit has dropped significantly since you took out your original mortgage, you may be surprised by higher interest rates. Similarly, if you originally qualified for a rock-bottom interest rate during the recession, you may not save money with today’s rates. Also consider that every refinance comes with closing costs, just like your initial home loan. You need to make sure any financial benefits you expect to receive from your refinance outweigh the added cost of closing. A good lender can walk you through all of these considerations, whether it’s in person, on the phone, or through online resources. Do the research it takes to make sure you’re making a smart decision on your next home refinance.